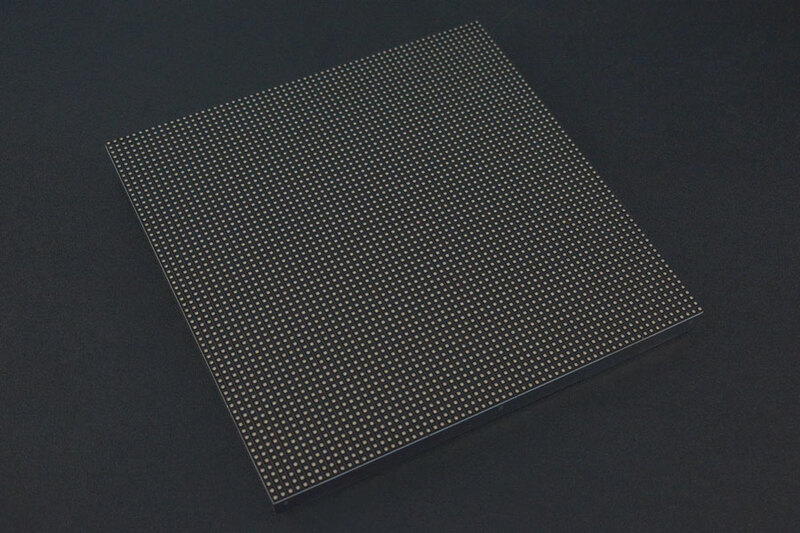 This is a 64x64 RGB LED Matrix Panel, it has 4096 full-color RGB LEDs in all. 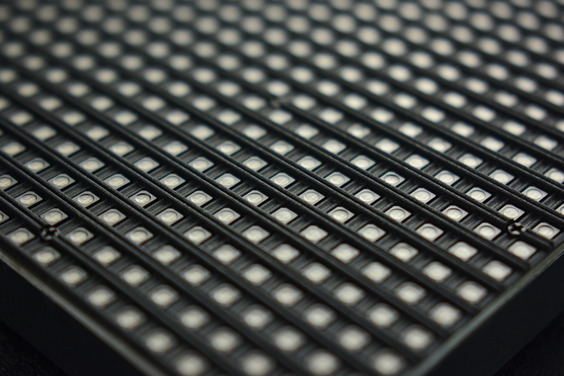 Each LED can be independently addressed and controlled. 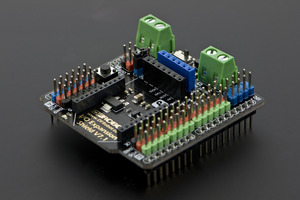 It requires at least 13 digital GPIOs to control the LED matrix. 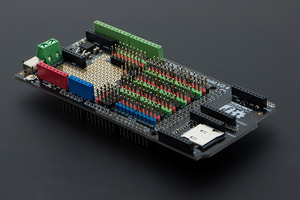 So the UNO board won’t be a good choice in this application, recommended Mega 2560, Raspberry Pi and the other kinds of microcontroller with large RAM and high speed. The led matrix has 2 IDC connectors (DATA_IN, DATA_OUT) on the back, you can cascade multiple panels and make a huge screen together. 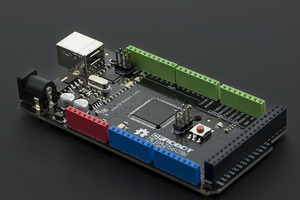 BUT Arduino doesn’t support this function, its speed is not enough to multiple panel. Note: This panel needs a 5V@5A power supply.